The program rolled out amidst much fanfare in March from the Obama administration, Home Affordable Refinance Program [HARP], was a major dud as far as California was concerned…The reason? As explained in this post at the time, instead of the typical 80% loan to value [LTV] for a refi, it offered government help for up to 105% LTV. Some places, even many places in the country, that’s a big help, but not here. We are too far underwater. So, it was good to hear the other day that Obamanites have figured this out finally–the program has been pretty much a bust–and changed the rules so that now the government will help for up to 125% LTV. This means you can refinance if say your home is worth $300,000 right now, but you owe $375,000 and you’re paying 8% on an adjustable If you’re eligible, you could get that refi at the new, lower rates, maybe in 5.5% on a 30-year fixed. Who is eligible? 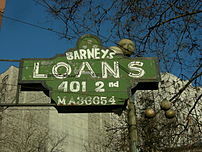 First, your loan must be owned by Fannie Mae or Freddie Mac. To find out if your is, check the Fannie Loan Look-up or the Freddie Loan Look-Up. Good so far? Well, now it comes to you and your house. You must have a job or at least income sufficient to take on such a loan. This is becoming more difficult when L.A. County’s unemployment rate is 12.6% as of May. And, then, your home must be worth that $375,000 you think it is. Talk to a reputable lender and s/he can figure all this out for you in minutes over the phone.Call me at 626-641-0346 for a referral. Don’t delay. Property values are still sinking. Next month might be too late. Some will question whether this applies to rental property as well…I believe it does, as the previous loan limit of 105% LTV did. Small investors need help right now. Rents are not covering costs and the big initial down payment that many investors made to get their loans have disappeared as the value of the homes has sunk.